Hi All! 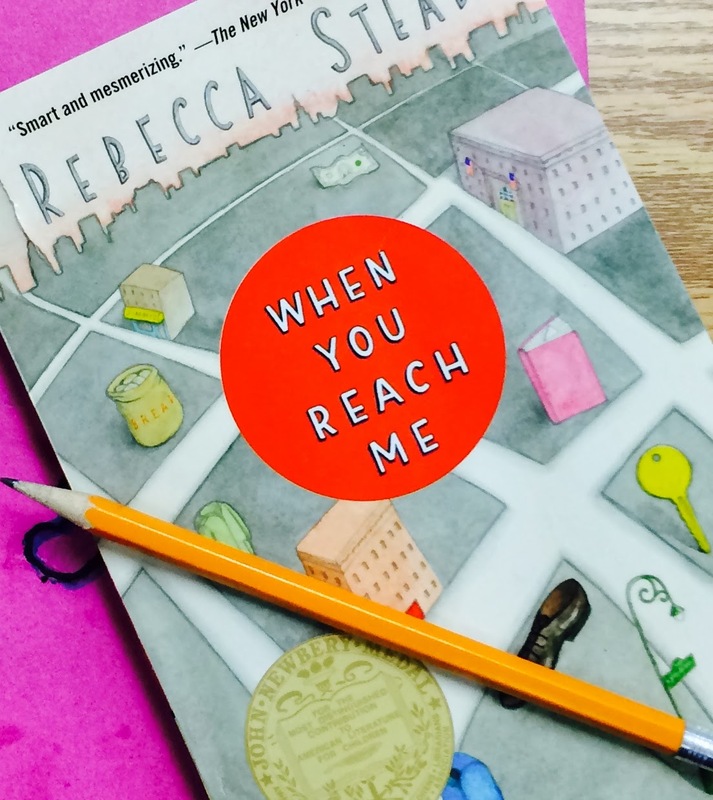 If you caught my post a couple of weeks ago, you know that I am trying out a new way to share read aloud with my students this year. 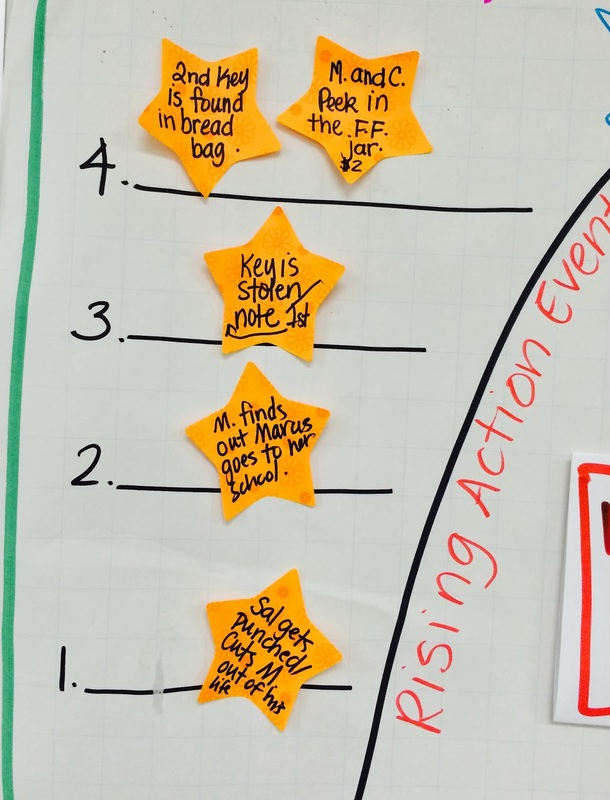 Interactive read aloud has been one of the best changes I have made to my reading block. 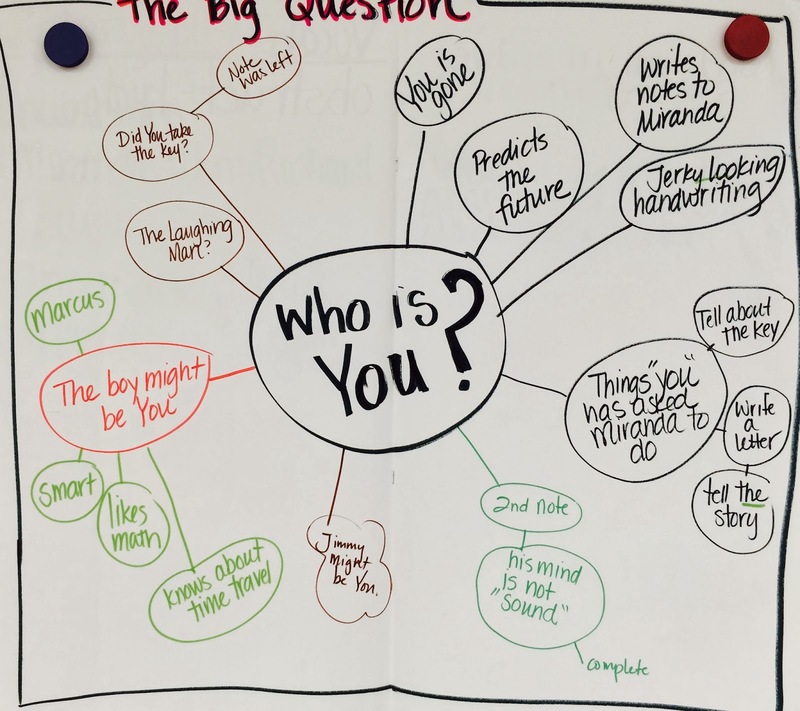 A quick summary of what interactive read aloud is: The students and I all have the same book and the students have their reading journals and a pencil. We meet on the carpet in a discussion circle. I read aloud as the students follow along. I create a lot of charts, stop for predictions and to clarify vocabulary or ideas running through the book. There is a lot of discussion during the reading... thus the interactive part. 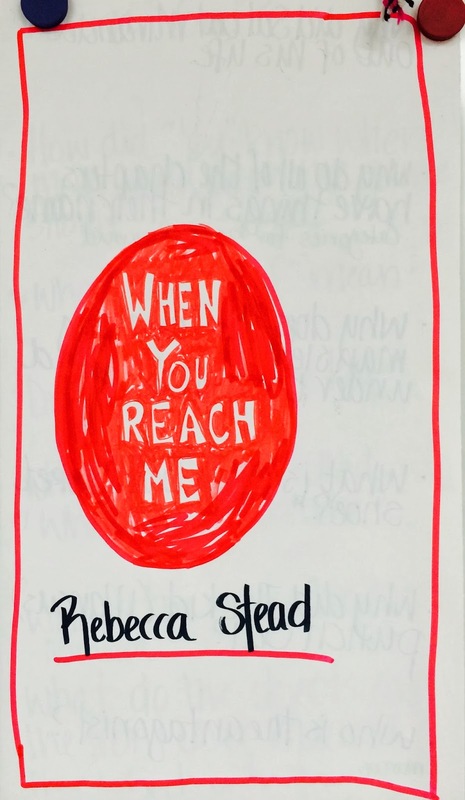 We've read several books together during our read aloud time so far this year, but I want to focus this post on the one we are reading right now, "When You Reach Me" by Rebecca Stead. Now, I had read this book before and loved the twists and turns and the mystery of what was going on. You really have to follow along and think with this book. I was a little nervous about how my class would react to it, but the Sagittarius in me said, "Go for it!". So I did. I was right... My fourth graders were confused... and intrigued. We talked about how it is okay to be confused at first. The author wants you a bit confused and wants you to ask yourself questions. You have to keep reading, have perseverence. The author will give you clues and reveal more as you go along. 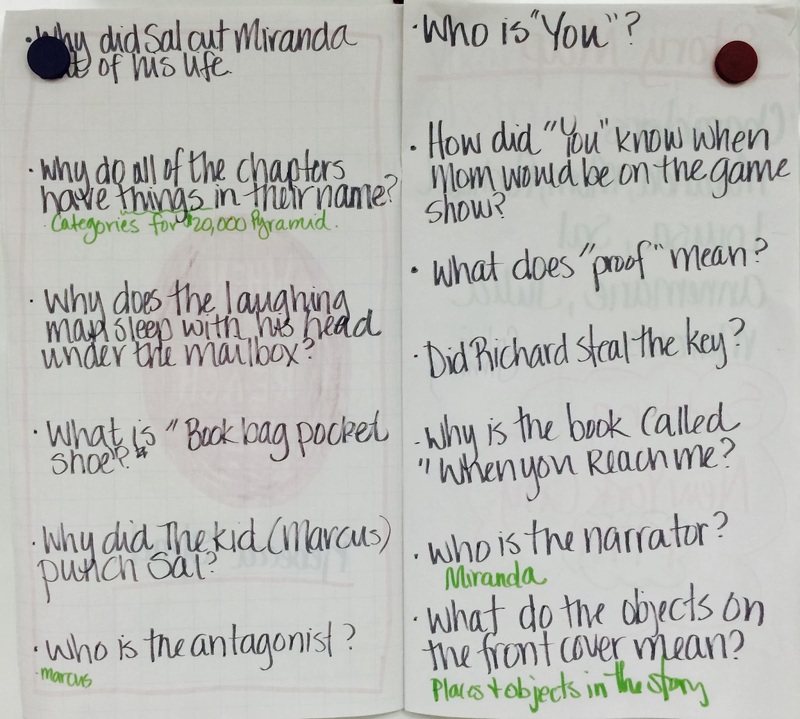 After reading the first few chapters, we created a chart of the questions they had about the book up to that point. Then I asked them what is the BIGGEST question? The one that is really bothering you? They decided that the big questions, the thing that confused them the most, is who is YOU? Who is Miranda talking to? We created a web with that question in the middle. As we read the story, we added clues to the web. As we continued to read each day, we added questions or when we found the answer to a question we wrote it on our chart. Another question my students had was about the cover. What did all the objects on the cover mean? They had a lot of different theories and amazing insights. The cover of this book has been an amazing aid to my students' comprehension. They love to predict what the items mean and then when an item pops up in the story they are very excited. There is one part of the book where Miranda is talking about her mother's theory about "veils". When I read that to my students I had to stop. I knew that some of my students wouldn't grasp the weight of that statement or the implications it might have on the story. I reread the passage slowly and asked each student to really think about what it said. I then summarized it into my own words and shared a personal story about my "veil". I shared with my class how, when I was in fourth grade, my parents got divorced. In my mind everything was great. I never paid much attention, as a nine year old, to what was going on between my mom and dad until that happened. Sadly, my veil was lifted. While I was telling this story, I noticed one of my students nodding her head. I asked her if she wanted to share what she was thinking. She told that class that she could connect to what I had said. She hadn't really paid much attention to her parents marriage until they got divorced. That was a powerful moment for me and for many members of my class and it never would have happened if I had been just "reading aloud" in the traditional sense. There was more discussion about "veils" and we started to wonder if Miranda had a veil about what was going on around her. We are still waiting to find out. Phew... that was deep... let's move on. 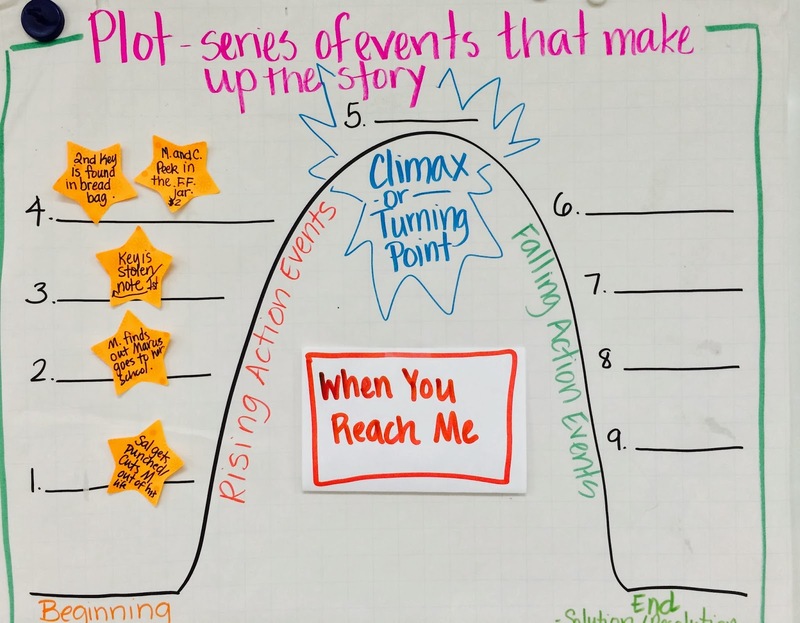 Another chart I use with my class is my Plot chart. I have used it several times this year and it has become very valuable during read aloud time. My students have decided that we have not yet reached the "climax" of the book. They are anxiously waiting for that to happen. We've had to take a few days off from our interactive read aloud time for assessments. The students were getting impatient and kept asking, "Do we get to have read aloud today?". I was just as excited as they were when we started our reading again on Thursday. I keep thinking that, if I had just handed my class this book and said go read this, or just had the book myself and read it to them, many of my students would have checked out by now. The interaction between the students, myself, the charts, and the book have made an amazing difference in their comprehension of this book. 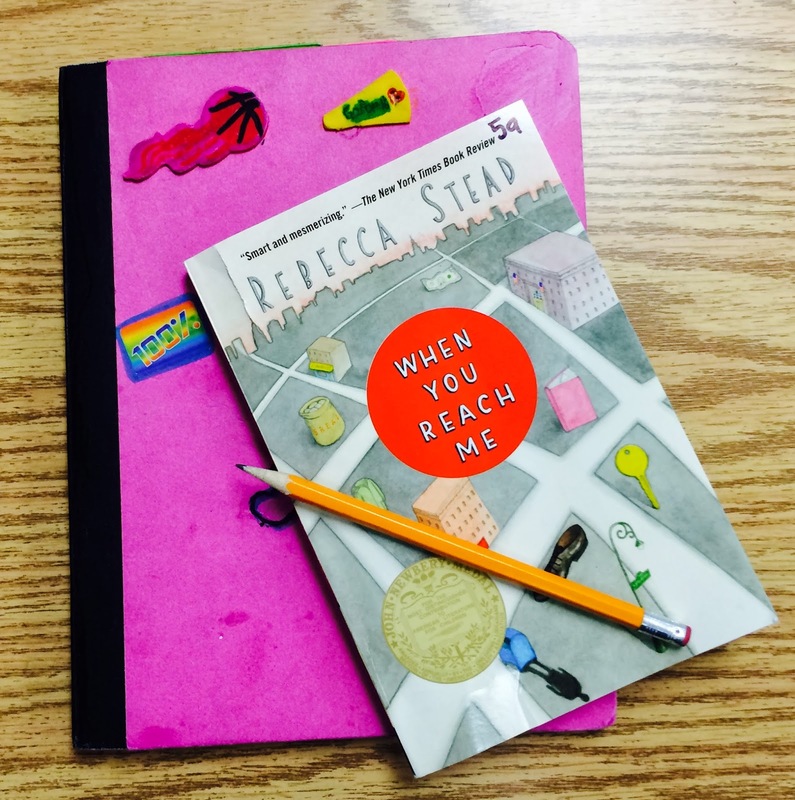 Using interactive read aloud has made a huge impact on me as a teacher. It is a powerful tool in supporting my students comprehension of meaningful text. The ultimate goal is for these fourth graders to take the strategies we have implemented and practiced while reading this book and use them in their independent work. I have already seen evidence of this in their reading journals and am excited to see what happens as we continue throughout the year. If you have any questions regarding my use of interactive read aloud or have experience with it in your own classroom, please feel free to comment below! I would love to hear from you! A whole new meaning to the words "Read Aloud".